to all joined in Mercy throughout the world. Sr Catherine Ryan and the Sisters of Mercy Parramatta. 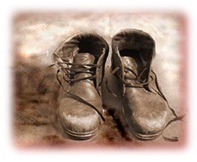 are with you and your colleagues as you celebrate Mercy Day 2015 .
as a book always opened before us…. that do make a difference for our fragile world and its people. May Jesus Christ, God’s human face among us bless you abundantly. Mercy Day is both a time of reflection on the past and a time of looking to the future as we continue writing the remarkable story began by Catherine McAuley in 1827. 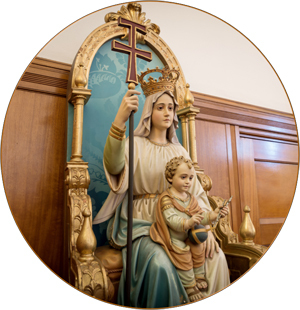 For us, this focus on Mercy began when Catherine placed her new House of Mercy and her work under the care and protection of Our Lady of Mercy in 1827 and it continues today. ¡Feliz Día de la Misericordia! 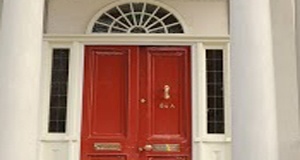 Pope Francis says that, in this coming Year of Mercy, “the Holy Door will become a Door of Mercy through which anyone who enters will experience the love of God.” The logo for our mercy international reflection process, unfolding during this Year, is centered on the red doors of Baggot Street. In a profoundly mystical way, these red doors connect all our doors of Mercy – in our convents and houses, in our places of ministry, in holy places around us, in Earth which nourishes us, in the cosmos which holds us in communion, and in the hearts of all Sisters of Mercy. As we celebrate this Mercy Day, we rejoice in our shared privilege of being Mercy doorkeepers. May all the doors we keep be truly doors of Mercy. Blessings of this Mercy Day to all Mercy persons globally! 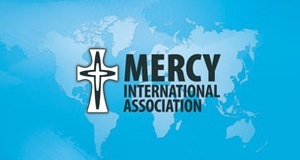 The Mercy International Association Board feels deeply honored to steward our common mission as we approach this special jubilee year of Mercy! Our blessing and prayer is one of deepened interconnectedness among us as we celebrate Mercy Day, enter into our common international reflection process, and await the Year of Mercy. May all of our initiatives deepen our merciful response to the needs of our world. May we celebrate and share the Mercy of God on this special feast. The celebration of Mercy Day at Monte Sant’ Angelo Mercy College, North Sydney was held last Friday, 11 September. The Mass of Celebration was followed by the Blessing of the Mercy Walk, ’The Voyage’, in commemoration of the 150th Anniversary of the Sisters of Mercy North Sydney. 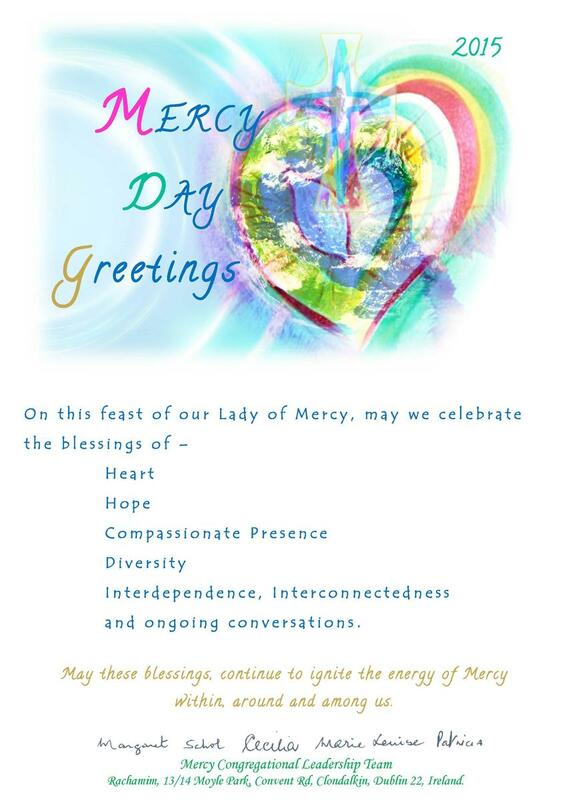 Blessings for Mercy Day from all of us in the Western Province, Ireland. May our reflections together during the Jubilee Year of Mercy stir our hearts and renew our commitment to respond to the needs of our time. Sincere greetings and blessings to our Mercy Family worldwide and to all those whose lives we touch. Our gift, the light of mercy, is a gift to be shared by all! On this Mercy Day let us pray that the upcoming Jubilee Year of Mercy enlivens a spirit of compassion, charity and love in the hearts of all the faithful, and that this spirit may bring grace and light to all those who suffer in our world. May the charism of mercy be a shining light for all the world! En este Día de la Misericordia de 2105, recordemos las palabras de Catalina McAuley: «Deberíamos ser como lámparas que brillan, dando luz a todo nuestro rededor». Nuestro don, la luz de la misericordia, ¡es un don que todas/os hemos de compartir! En este Día de la Misericordia, oremos para que el Año Jubilar de la Misericordia que viene revive un espíritu de compasión, caridad y amor en los corazones de todos los fieles y que este espíritu traiga gracia y luz para todos los que sufren en nuestro mundo. ¡Que el carisma de la misericordia sea una luz resplandeciente para todo el mundo! 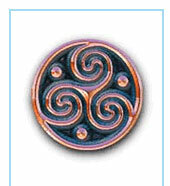 The richest of blessing to all as we celebrate this lovely, unifying feast. A special thanks to all who have taken the time to write to Pope Francis of our hopes for Catherine's beatification during the Jubilee Year of Mercy. May the ardency of our desire touch his heart!